Did You Know That Yellow Corn Is The Result Of A Native American Genocide? Fun fact: most, if not all, of the domesticated produce we eat is bred mostly for flavor and not so much for nutritional value. A New York Times article delving into this topic reveals that, dangerously, this kind of breeding has stripped key phytonutrients — crucial for preventing modern illnesses like cancer, cardiovascular disease, diabetes and dementia — from our food. 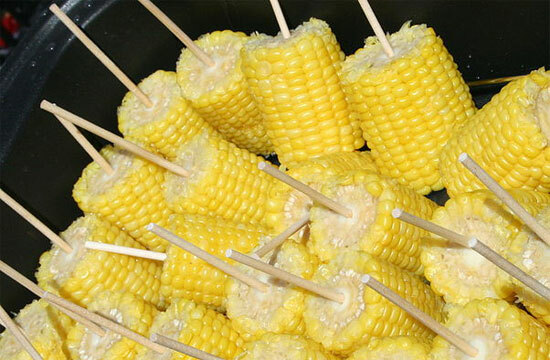 For instance, corn used to come in many different colors, such as blue, red, black, and a more starchy variety of yellow — and of course, this corn was packed with phytonutrients until Americans decided that they really, really liked sweet yellow corn. An even more excitingly fun fact: this preference came from a genocide of the Iroquois tribe! So basically, corn on the cob is the culinary version of Hugo Boss: they both directly profited from horrible war crimes…but they’re also so tasteful.